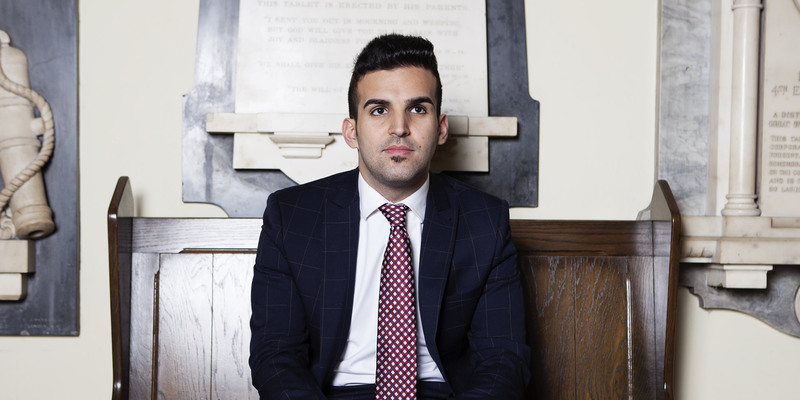 Mete Coban, 26, is chief executive of My Life My Say and serves as Hackney’s youngest-ever elected Councillor. He’s also a member of GFC’s inaugural Youth Leadership Council. In London, we sat down with Mete to hear his story. A teacher recognized the fight and drive in Mete, and suggested he venture into politics. Politics has given Mete a platform to use his voice and experience to fight for youth growing up in communities similar to his own. At 21 years old, Mete was elected a Political Councillor of Hackney; today he is Chair of the Skills, Economy and Growth Commission. “[The commission] looks at the big question—which is what I’m really passionate about—how do you marry areas of high levels of deprivation with areas of high levels of economic growth?” Mete wants to ensure that locals benefit from economic growth versus living in communities suffering gentrification. And Mete didn’t stop there. During university, he founded the charity My Life My Say (MLMS), which is on a mission to secure a better Brexit for young people. In 2018, MLMS is one of the largest youth Democratic charities in the UK and Europe. Mete’s first encounter with GFC was through Youth in Hackney (YOH), a graduated GFC partner that was instrumental in his life. Mete is one of five members of Global Fund for Children’s Youth Leadership Council, a body of young leaders commissioned to articulate and advance the needs of youth peers, and to serve as advisors to GFC. Listen to a snippet of the interview with Mete below, and learn why he has decided to join GFC’s very first Youth Leadership Council.